This is the first post of “Now in Vietnam“, where TechNode visits Vietnam’s leading companies, to explore the next startup ecosystem to emerge among Southeast Asian countries. Vietnam’s GDP growth could surpass China by 2020 according to Turicum Investment Management. Vietnam is now following the footsteps of China to bring physical retailers to go online. Just like how Alibaba helped China to become the best mobile payment, nearly 50 times greater than those in the US last year, NextTech is becoming a gateway in Vietnam to digitize traditional business into e-commerce. Apart from its mission, NextTech has many similarities with Alibaba, such as its focus on e-commerce, starting in the similar period of the early 2000s, and investor SoftBank. 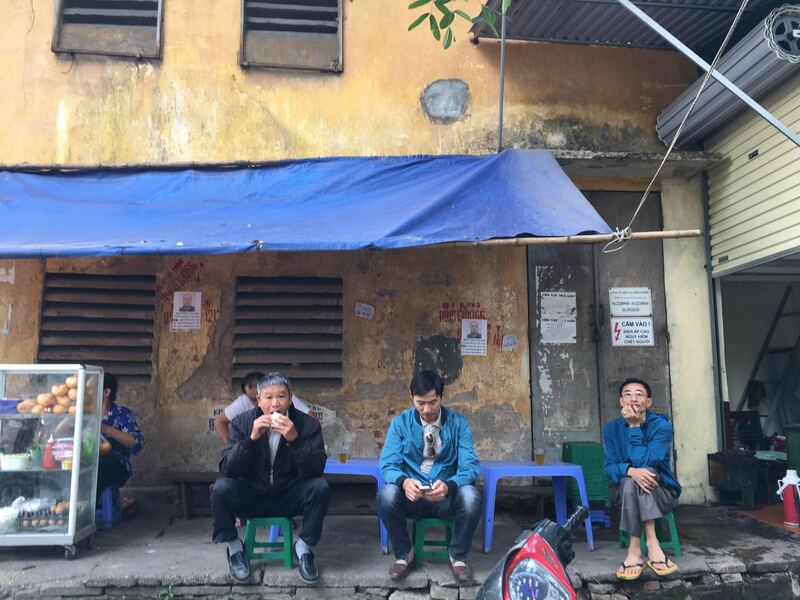 “As you stroll the streets in Hanoi, you find out the most of the shops on the street are traditional ones. We want to digitize them and create a platform for commerce, fintech, logistics, incubation, and investment,” Nguyen Hoa Binh, chairman of NextTech told TechNode. In fact, Vietnam shows the lowest credit card usage in SE Asia, with only 1.9% of adult Vietnamese reported having a credit card. About 26.3% of the Vietnamese use debit card, with only half of the cards being used. Most of the people prefer bank transfer, as 64% of banked Vietnamese use online banking in 2012. Small business owners installing the online payment is still not easy. On the other hand, e-commerce companies are not connected to traditional businesses. A huge opportunity lies in this market, and that’s why e-commerce, e-logistics, and fintech are emerging sectors in Vietnam. NextTech, formerly PeaceSoft, provides information technology to traditional businesses to help them go online. Just like Alibaba’s Tmall, NextTech launched its own B2C2C marketplace Chodientu.vn, which was invested by IDG Ventures in 2005. They manage everything from product sourcing and shipping to dealing with customers. Just like Alibaba in China, NextTech aims to be the e-commerce leader in the SE Asia market. From 2009, NextTech’s ecosystem expanded to SE Asia, investing and acquiring leading commerce companies and fintech startups, taking about 20%, 30% shares of the companies, according to Nguyen. After the acquisition, startups can come to their office and work in NextTech’s co-working space. NextTech Group of Technopreneurs is now becoming a platform for leading e-commerce, e-logistics and fintech startups. Sourcing: Cross-border e-commerce shows the largest margin, according to Nguyen, and Indonesia’s cross-border e-commerce startup, WeShop was invested by Nexttech. Logistics: Boxme.vn, like Amazon has centralized warehouse and fulfillment network. ShipChung.vn is a market space for logistics companies, just like Cainiao of Alibaba. NextTech is partnering with three largest logistics companies in Vietnam to ensure product quality. Payment: As for online payment, NganLuong.vn provides mobile payment solutions Mobipay, similar to Alipay, so that users can make online payment on e-commerce sites and games. It was announced as one of top 100 Asia technology company by Red Herring Asia. As for offline payment, Softpay is an mPOS (mobile point of sales), meaning a mobile-based card payment facilitator, with a card swiping hardware. It claims that it’s the first and only company to do the Square model in SE Asia.